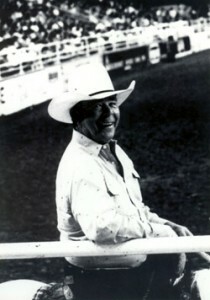 Neal Gay’s professional rodeo career began as a contestant in Atoka, Okla., in 1945. Born June 25, 1926, in Dallas, Gay rode bulls, saddle broncs and barebacks and wrestled steers. His contestant years have since been overshadowed by his stock contracting and rodeo production skills. In May 1958, Gay put Mesquite, Texas, on the map with the opening of the Mesquite Championship Rodeo in partnership with several other cowboys. Gay was named managing director, a title he still holds. That first year the rodeo operated with borrowed stock. 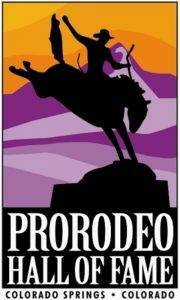 Today, the Mesquite Rodeo has its own stock and performances are seen worldwide via cable television. Gay’s rodeo contemporaries point to his early experience in the production and financing of small rodeos in Texas as an excellent example of what small communities can do. “I wouldn’t be in this business if I didn’t love it, but this is all I ever wanted to do. I’ve never gotten up a day in my life dreading to go to work,” he said.